e hear plenty these days on speaking truth. This typically means that the truth in question will be personal and may or may not resonate for others. But what about the kind of truth that is less personal and more universal? A truth much more aligned with putting the sword down than with picking it up? A truth that is more unifying than it is divisive? Let me provide an example: The relationship had hit a rough spot. The distance between them had become intolerable. If they could speak to each other with genuine care and candor across the searing silence, what would they say? I feel so scared. Based on our track record, I have little faith that either one of us possesses the skills necessary to navigate the growing distance between us. I fear that speaking will only create more pain as it has done in the past and I want so much more for both of us. I want these wounded places to be tended to mercifully .. so that we can either renew our faith in our commitment to meaningfully weave our lives together or, if need be, part ways with a deep abiding appreciation for what we have shared. I want so much to believe that we can find the generosity, grace and courage required to move forward. I want to believe that we can bow to this grief so that new life can be born. This is what I want to say to you. Neither person is likely to say this. Very few of us know how to speak so candidly and with such heart. Our sincerity often goes no further than guarded personal truth, opinion, and hurtful evaluations. But just because we don’t express our more vulnerable selves or know how to begin, it doesn’t mean the words expressed above would not be true. There’s plenty that lives inside us that we don’t know how to articulate.. NONVIOLENT COMMUNICATION TRAINING APR 13-14TH (SAT 10-4PM | SUN TO 3PM) $280 | SIGN UP FOR 2 AND RECEIVE A DISCOUNT! To provide a forum for the exchange of ideas pertaining to the overall growth of consciousness. The deadline for submissions is about the middle of month prior to the next issue. Articles submitted to Tone Magazine may be adjusted for readability but major changes will be referred to the author or group responsible. Articles printed in this magazine do not necessarily reflect the views of the Editor’s Group. Tone Magazine does not endorse or recommend any particular treatment protocol for readers. Tone Magazine supports informed decision making, and articles are included to enlighten and motivate readers. Readers are encouraged to discuss health-related issues with their health care providers. 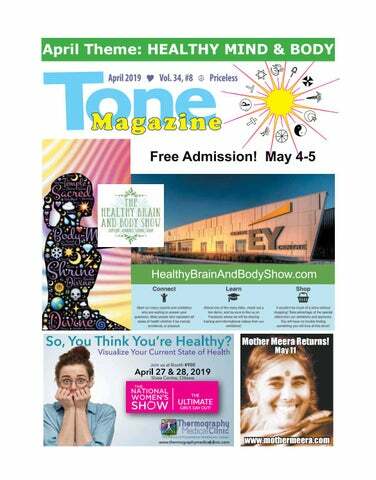 Tone Magazine believes readers should determine the best treatment protocol based on health care providers’ recommendations and their own needs, assessments and desires. The Publisher and Editor’s Group disclaim any responsibility or liability for either content of articles or advertising, and do not guarantee, warrant or endorse products or services included in articles or advertising in this publication, nor do the Publisher and Editor’s Group warrant or endorse any claims made by the writers or advertisers for such products or services. Display ads… Card $59; 1/6 page $89; 1/4 page $129; 1/3 $179; 1/2 page $229; 2/3 page $299; full page $399. Extras: Colour 20%; back 40% and inside front cover 30%. Classifieds... $15 for the first 3 lines; $2 for every extra line Directory... $15/line/year Go to www.tone.ca for more info. We require payment prior to print and you can pay online. rying to “find yourself” has gotten a mixed reputation. It can be an excuse when you want to break up with someone without mentioning the real reasons. It can also be a distraction from accepting responsibilities, like doing your share of tasks or duties. On the other hand, figuring out who you are and what you need to do in order to have a fulfilling life could be the most important and satisfying questions you will ever answer. What to Look For: 1. Clarify your values. Knowing your values helps you to make solid decisions and prioritize your activities. Consider how your values relate to your daily life. Look for opportunities to live in agreement with them. Summarize your philosophy into a personal values statement you can refer to when needed. 2. Understand your strengths. Do you know where your talents are and what you feel passionate about? You will accomplish greater things with less stress when you opt for a path that lets you leverage your main assets. 3. Create flow states. What activities boost your energy levels and make you lose track of time? Whether you love playing the piano or solving physics equations, chances are these flow states will suggest the fields in which you can excel. Where to Look: 1. Listen to yourself. Finding yourself is about living authentically. Pay attention to what your mind and body are telling you. Notice when you feel engaged and when you feel lost. Is there a pattern behind these situations? 2. Accept your feelings. Acknowledge your emotions, even when they cause you discomfort. Trying to suppress the truth will backfire and produce more stress. When you accept your anger or sorrow, you can start thinking about positive options for dealing with it. Have you ever noticed that when we feel stuck - we become the expert of everything that does NOT work... The truth is that in order for a problem to exist - the solution must also exist! To get started feeling *unstuck* hop on over to www.WellnessWithMoira.com and sign up for Step One of “The Letting Go Process” - it’s free!! he Cuyamungue Method of Ecstatic Ritual Postures is a safe technique that can produce a profound shift in consciousness. This technique was originally studied in depth by Dr. Felistas Goodman, an anthropologist, who graduated from Ohio State University. Dr Goodman founded the Cuyamungue Institute, located on a large property she had bought in Santa Fe. After Dr Goodman’s passing in 2005, her work was taken over by Dr. Belinda Gore and others. each day, we had the option of getting up early and greeting the sunrise together over the mountain ridge across the valley. I am not a person who generally has fantastic journeys or gets deep messages in a shamanic experience, but I always feel that my spirit has been nourished and cared for even if I don’t intellectually understand the experience. At Cuyamungue, when using the postures, my experiences were more vivid, and I found it much easier to transition into a trance state. After my return I wanted to continue to practise the postures. Using Dr. Belinda Gore’s book “Ecstatic Body Postures” and my training, I had all the tools I needed, but we all know how difficult it is to keep up a practice by yourself. I finally decided that it was important enough to make this work available here that I invited Dr. Gore to come to Ottawa to give a public presentation and workshop on the weekend of April 5-7. If you are interested in joining us, see further details on this page. Offered as a free community service by students of Sri Chinmoy. Question: Would you say something about death? SRI CHINMOY: In the external life, I have two rooms: a living room and a bedroom. In my living room I work and talk to people. In my bedroom, I rest and sleep. In the spiritual world, the living room is life; the sleeping room is death. I need no one when I am in this room called death because I go there to rest. But people are afraid of this room because they feel that death is alien and far away, whereas life is close and familiar. It is not true; both life and death are the soul’s possessions. Remember that it is the body that dies and not the soul. The Bhagavad-Gita, India’s great spiritual epic, tells us that just as we discard a worn-out garment and accept a new one, even so the embodied soul discards this body and accepts a new one. The soul is eternal and immortal; weapons cannot cleave it, fire cannot burn it, water cannot drench it, wind cannot dry it. It is invincible. The soul is very, very wise. It does not forget what it did on earth; it carries with it the essence of the experiences that it had while it was in the land of the living. While resting, it tries to assimilate the essence of thousands of experiences which it had on earth. Then when it enters into the world again, the soul comes with new hope, new life, new determination and new willpower to unveil its inner potentialities and at the same time, to manifest the Divine in the most beautiful and most fulfilling way. It tries to bring all the gifts and achievements of its own previous evolution into play for this fullest possible manifestation. Each birth and each death has a special significance, leading us towards a higher life, a better life. Each incarnation is a rung in the ladder of evolution. Man is progressing consciously and unconsciously. When his progress is conscious, realisation will take place much sooner and the necessity of death will not exist at all. Visit www.srichinmoylibrary.com for further writings by Sri Chinmoy. atural spiritual-energetic laws govern and support our experiences. By flowing with them we create inner harmony with our Spirit. If we don’t align with these principles, we can now find ourselves feeling pressure to change incongruent and perhaps longhidden aspects of ourselves. By aligning with the 13 natural laws we stabilize the energies for everyone, and we do need to very mindfully hold steady in the current chaotic forces. Here are just a few principles, stated very simply, so they can be applied to our daily choices. willing to communicate by the heart can practice Bhakti Yoga together. Through Bhakti Yoga, the formless spirit can be seen, the heart-touching love can be felt, and the omnipresent Supreme God can be revealed in our own eyes. We will recognize that we are not a moving machine. We are a human being that has a soul in the heart. We are part of the Divine. What we need to do is participate, either sing along or listen quietly to the chanting. This is the way to connect with the Divine and gradually foster love of Divine Presence. Wishingtree Yoga’s Water Way Chants by Water Way Kirtana is now available at Singing Pebble Books. Welcome to meet Ivy & Stewart of Wishingtree Yoga on Saturday, April 27 from 2 to 5pm for a Meet the Author/CD Launch at Singing Pebble Books. For more information please visit www.wishingtreeyoga.ca or contact Wishingtree Yoga at wishingtreeyoga@hotmail. com Wishingtree Yoga offers 200H Traditional Hatha Yoga & 50H Yin Yoga Teacher Training. Ivy’s geography background and travel have given her a unique perspective. Her book A Complete Yoga Manual is a bridge between east and west, modern and ancient, theory and practice. The book is available at Singing Pebble Books. I get moving. I ask the Universe how I can best be of service and to be guided easily and effortlessly in all that I do. If I’m on the right track the synchronicity or “coincidences” always amaze me. Many times I find that I am drawn to be in the right place at the right time and meet someone that inspires me or opens me to another important connection Ottawa Area Christian Meditation Community towards the fruition of my project. Everyday life shouldn’t be hard; we tend to believe that if we don’t struggle for something that it or we Christian Meditation Weekend Retreat won’t be good enough. Most of us need to believe/learn that our lives with aren’t meant to be difficult. It is so Denis Paquette important to realize that anything Fortify Your Life: Dive Into Faith! we do with Love at the core will improve our lives and everyone’s Galilee Centre, 398 John Street North, Arnprior ON around us. I trust this more than Friday, 3 May to Sunday, 5 May 2019 anything. Step out of your busy life to concentrate in silence on your spiritual journey. Love is an energy. If we take Dr. This is a silent retreat with meditation sessions and time for quiet personal reflection, as well as Masaru Emoto’s study of the effects breaks in silence for group discussion Saturday afternoon and questions and answers Sunday morning. of our thoughts (energies) changing Denis Paquette explores the meaning of Faith. Denis examines the Biblical proposal to a need for Salvation and Jesus’ role in this. He illustrates with examples in everyday life. Topics include: the molecular shape of water, we can draw the conclusion that our  Unpacking the theme. What does dive imply? What are the inherent risks of diving into Faith? thoughts, loving or fearful will also  Faith what does it add to the human experience? Modern life has proven we do not need Faith to live abundant and productive lives, or has it? affect the cells within our bodies  Salvation. Is Salvation a human archetype relevant today? we are 60-75% water. Having loving  Enduring the unacceptable. With all the suffering in the world, where is God? Should we come to terms and positive thoughts will improve by simply letting go and accepting all is as it should be? our health. Denis concludes the weekend discussing the practice of meditation, an ancient Christian discipline that There is so much we have yet to is still relevant today as we struggle through detachment to be overcome by harmony. tap into. The more relaxed and at Denis Paquette lives in Ottawa where he is working on his Master’s Degree in Theology at St Paul University. He has a Bachelor of Arts ease we are the more apt we are to from the University of Ottawa and a Bachelor of Theology from St allow good(ness), heath, wealth and Paul University. He is a recent graduate of the Contemplative more compassion and empathy flow Theology and Spiritual Mentorship Diploma Program at St Paul University. into our lives. Love is within each of us and connects us to “All Life”. Denis is a contemplative at heart! Doors open at 5:00 PM on Friday, with time for fellowship and a few snacks before the retreat. Retreat starts at 7:30 PM and ends Sunday after lunch. No previous meditation experience is required. Everyone is welcome. $250 single and $210 double occupancy, $150 local commuter. Details are on the registration form. Call 613 521-3234 or email william_meek@bell.net for assistance. Space is limited so register as soon as possible. Deadline for registration and payment in full is Saturday, 30 March 2019. There are 2 more for this season. impossibility creates much unhappiness and suffering – all the more so since all of this is mostly out of awareness. The good news is that, with focused attention and intention, with self-honesty and compassion, we can bring this into awareness and heal it. How false needs come to substitute for real needs; how to distinguish them from the real ones and let them go; and finally, how to recognize and fulfill our present real needs is the content of Lecture 192: Real and False Needs. This will be the topic of the next Pathwork Open Lecture. There will be a discussion of the lecture and an exercise to help us apply the teachings in our own lives. All are welcome on Wednesday, April 17, 2019 at Saint Paul University, 233 Main Street, room 141 from 7 to 9 pm. Follow the signs to the room. There is a suggested donation of $15 for nonmembers; $5 for members. The Pathwork lectures are available for free download from www.pathwork.org For further information, contact Jean at jeanmillar21@gmail.com or 613-829-1254. TAKE CONTROL OF YOUR: • EMOTIONAL/PHYSICAL PAIN • GRIEVING • RELATIONS • REGRESSIONS • WEIGHT • ADDICTIONS • STRESS • ENERGY LEVEL • HEALING THE PAST . have been studying quite a few books on Indigenous spirituality lately and will share what is repeated consistently in this article. As a heart-centered profound thinker, I am currently observing the general public’s interest in the expression “to speak one’s truth” and how important it is for the general public to hear that truth. (March 2019) I was born in an Indigenous family who denied its roots and ways yet in spite of that, the Native American Spirit in me has been the pivotal driving mechanism, the underlying current if you will, of my entire life. Speaking one’s truth anchored within the Indigenous culture is a powerful thing. It stems from an upbringing tethered to a culture rich in personal development through honour, self-discipline, introspection and the understanding of Great Spirit’s role and our own on Earth. Did you know that, in the old days, an Indigenous child was taught from birth, that they are a spirit with a body and that life is a sacred adventure of spiritual growth - that the most important relationship in Life was the one you developed with Great Spirit? Can you imagine living a life where you are taught to develop both the divine and the human relationship at the same time – where “religion” is your way of Life? When you are born with that paradigm, it sheds a different light on what is important. And it is this very paradigm the Priests and the Settlers of long ago did not understand. After living with a tribe for over 30 years, the priests did start to understand it but by then this sacred way of living life had already been judged and deemed the “work of the devil”. The Native Americans were written off as having no value. Yet, had it not been for their hospitality and generosity of spirit, the Settlers would never have survived their first winter here. You Can Lose Weight Without Painful Surgery Are you having trouble Losing Weight, Keeping it off & Killing Evil Cravings? Then Dr. Luke Michael Howard can help you even when nothing else has worked. With he's specialist brand of Gastric Band Weight Loss Hypnosis all the way from the UK. Dr. Luke, owner of the LUKEnosis, is a Hypnosis Weight Loss Specialist, has a Masters degree in Hypnotherapy as well as a Doctorate in Psychology. Dr. Luke has been studying Hypnosis for over 17 years now and has trained all over the world. After over a decade, Dr. Luke is still the youngest person certified by the American Board of Hypnotherapy. Dr. Luke has been featured in all forms of media such as Tone Magazine, CTV Morning Live, and CBC Radio. He has developed an advanced hypnotherapy technique that turns weak willed over eaters into empowered, slim & in control people in just 5 sessions. He says “This technique is so powerful we are achieving a 80% success rate. This is incredible when you think that Weight Watchers are only about 30% successful at best. This Powerful Non-surgical procedure has been well documented or FOX,CBS & ABC News as well as the Dr Oz Show. “I walked out 25lbs Lighter!” Kate had been over weight for the majority of her life- nearly 27 YEARS! She had tried every type of Weight Loss Gimmick, Diets, Supplements, Gym Memberships even Personal Trainers but nothing worked, until she met Dr. Luke. She recently sent him this follow up email: “I promised I would do a testimonial for you. Here it is: The hypnosis TOTALLY worked...not only have I lost 25lbs I have not eaten at timmies...I have had NO DESIRE TOO!!! It really has changed my life!” Check out more testimonials at: www.lukenosis.com you can contact Dr. Luke at 613-878-5874 to arrange an appointment. Everyone deserves a calm, peaceful, side-effect free life. Research shows Clinical Hypnotherapy to be safer and more effective than drugs and talk therapy, with fewer sessions and more root-cause resolution of problems. Medications not working OR medication addiction, withdrawal & side-effects worsening? Long talk therapy and/or addictions counseling leading to nowhere? Pain and psychiatric medications creating addiction, withdrawal and health issues? Aren’t getting the help and resources you need to wean off health-damaging medications? Tired of fighting addictions with no end in sight and one struggle replaced by yet another? CALL Grace Joubarne, CCHt, MAPHP TODAY ! Clinical Hypnotherapist with decades of experience in natural healing modalities. Privacy and confidentiality guaranteed, anonymity if requested. • People NADINE LA BELLE, M.A. Body, mind, spirit Integrative Healing®. 613-258-7492. • Acupuncture CHINESE TRADITIONAL ACUPUNCTURE & NATURAL MEDICINE CENTRE. TCM. DAC. Jia Jun Huang & Annie Huang. Graduate of Shanghai Medical University (1960). Over 45 years experience. Member of Chinese Acupuncture Association of China & Canada. Acute & chronic pain, Accident. Sports injuries, Arthritis, Fibromyalgia, Depression, Insomnia, Stop smoking, Menopause, etc. Disposable needles are used. Insurance coverage. Free parking. One of the largest herb stores in Otawa. 613-235-5504. 867 Somerset St. W. Ottawa. • Chakra/Aura Balancing THE BOUTIQUE offers a 30 minute Chakra/ Aura Assessment and modification session. Also the Boutique offers many more services, please refer to www.arc-ange-ciel.com or call the Boutique at 613 424 9094. • Coaching LAW OF ATTRACTION COACHING with Aileen McKenna, Certified LoA Coach www. aileensoasis.com creates the space where clients become personally empowered. I coach people who feel stuck in their lives, in general, or particularly in their careers, relationships, home and home life. This may be about old issues, dealing with difficult decisions, and/or about changing habits that seem to create dissatisfaction. Call for more information and/or for an appointment. Clients express their satisfaction with the work, and their greater comfort and success in their relationships, their careers, and homes. Call Aileen’s Oasis at 613-228-2272, or 613-7953751, check in at www.aileensoasis.com or at aileen@aileensoasis.com . • Cranio-Sacral Therapy JOAH BATES, D.O. (UK) Biodynamic Osteopathy. Creating a space for self-healing through structural balance. Over 25 years experience. 613-742-0011. • Crystal Shamanism CRYSTAL SHAMANIC PRACTITIONER, Crystal Healer, Psychic Intuitive, IET master instructor certified Yoga Teacher. Intuitive/psychic guidance given during Shamanic Healing sessions to better help you along your journey. Crystal layouts, chakra clearings, journeying and more. Sessions for children, teens, adults and animals. I also offer Crystal workshops, home crystal jewellery parties, psychic circles, meditation sessions, retreats. Contact: Sylvie_ Reardon@hotmail.com, Facebook: VieYoga and Crystal Shamanic Healing, 613-852-4963. • Gifts PLANET BOTANIX, 301 Bank (Somerset) 567-4444: eco friendly, recycled, unique and inspirational ideas! • Hotstone Healing BODY POETS MASSAGE THERAPY - Skilled RMTs - Many Modalities - Convenient Hours - Online Booking - Downtown Location - Free Parking - Gift Certificates. 504 Kent St. (At Arlington) Visit www.bodypoets.com or call 613-222-0465. Step into the Circle of Care! CHERYL JIALA DRISKELL is happy to help you find Health, Happiness and Spiritual Awakening. Over 30 years of training and author of 4 books. Wakefield, Ottawa and Skype sessions available. www.intuitivelight. com 819-328-9128 WAKEFIELD Retreats too! DIRECTORY WEL-Systems TM Institute Master Facilitator. jeancallaway@bell.net Phone: 613-295-2756. • Low Impact Yoga LOW IMPACT HATHA YOGA www.zenforyou. ca The Zen for You Hatha Yoga classes are easy to do for people who have never tried yoga before. Manali Haridas, Certified Yoga instructor progressively teaches the yoga postures and different relaxation breathing techniques in a period of 10 weeks. • Massage Therapy BODY POETS MASSAGE THERAPY - Skilled RMTs - Many Modalities - Convenient Hours - Online Booking - Downtown Location - Free Parking - Gift Certificates. 504 Kent St.
and spiritual awakening. Private and group introductory and advanced classes. Call Jennifer Bernius at 613-721-3787; jenbernius@ gmail.com; sparkoflightmeditation.com MEDITATION ON TWIN HEARTS. A beautiful healing technique for illumination that works on the physical, mental, and spiritual levels to open the heart chakra (emotional heart) and the crown chakra (spiritual heart), making us a channel of divine energies, which we use to bless the earth & every being. Lotus Born Wellness Centre: 1226A Wellington W. WEDNESDAYS, 7pm. Cost: on donation. RSVP: faye@pranichealingontario.ca MEDITATION AND PRAYER Thursday evenings 5-7pm. 3015 Richmond Rd. 613-828-2836. DR. KATHERINE WILLOW ND, fourth-generation naturopathic doctor, has been practicing for 35 years and specializes in German New Medicine (GNM). Call to book an appointment 613-839-1198 or visit ecowellness.com for more info. O’Connor 4406 Old Kingston Rd. Lombardy. (613) 272-2739 JIKIDEN REIKI – FRANCINE MINEAULT, Reiki Master and Shihan, teaches Jikiden Reiki in the Ottawa-Gatineau area, in French or English. www.espacereiki.com / info@ espacereiki.com / 613 446-7307. HEAL. GROW. THRIVE. I am an IET and Usui/ Karuna Reiki Master teacher offering healing sessions, Reiki and IET classes. Frederic Papillon 613 805-3733 www.crystalheartlotus.com ANNA EARLE GREEN, MA CCC, RP, SPIRIT WELL HOLISTICS – Bodycentered process work: Reiki & Classes, Craniosacral, SET, EFT, and more. Assisting your journey toward an energy-filled life. Daytime. Downtown area. www.spiritwell.ca 613-295-9987 JARDIN REIKI GARDEN. A universal energy of compassion. Jacinthe Potvin, Usui Master/ Teacher. For Reiki treatments given with all the love my heart contains please call: 819 319-1216 or jardinreikigarden@gmail.com DONNA DILLMAN, Usui Master - Circa 1894 Day Spa, Lanark. Use of tubs/saunas included. 613-259-9988; circa1894.ca DARLENE PLOUFFE, Reiki & Numerology. 613-769-7313 www.timeforBeing.webs.com HOLY FIRE REIKI treatments and courses with Martha St. Pierre. 613-422-7286; ladymjs50@ hotmail.com; holyfirereikiottawa.ca REIKI IS LIFE FORCE OF ENERGY. It helps for relaxation and stress. The best way to experience is having a full treatment. Call Laura at 613-608-9750. DIANE GODIN reikispiritualawakening.com 819-665-3187 (Ottawa-based). Reiki is a spiritual therapy that provides healing energy to recharge and re-balance the human energy field, working with physical, mental, emotional and spiritual healing. Reiki works well with stress, anxiety, chronic pain and much more. I am a Certified Reiki Master Practitioner (Energy Healer), Psychic Medium, Empath, and Witch. I also provide Card Readings. • Retreats CHARMING RURAL RETREAT COTTAGE NEAR WAKEFIELD. Couples/individuals. Clean, equipped. Year round. Minimum one month. For details text 819-328-3705. ROOMS FOR RENT. Shared bathroom. Utilities included. 3015 Richmond Rd., 613-828-2836 OFFICE FOR RENT by the hour ($25), half day ($55) or full day ($95) in Gatineau (Hull sector, Quebec) for March. Perfect for health professionals. Massage bed on site. • Sound Healing COMBINING CRYSTAL BOWLS, tuning forks, chimes and other sound healing instruments to create a relaxing experience. Individual sessions and group meditations. Julie 613-254-8469. BODY POETS MASSAGE THERAPY - Skilled RMTs - Many Modalities - Convenient Hours - Online Booking - Downtown Location - Free Parking - Gift Certificates. 504 Kent St. (At Arlington) Visit www.bodypoets.com or call 613-222-0465. Step into the Circle of Care! I‘LL DEVELOP YOUR OWN PERSONALIZED YOGA PROGRAM that includes poses, breathing exercises, meditations and healthy lifestyle tips to help you cope with anxiety, depression, weight loss, sleep problems, etc. Contact Linda for your free consultation at mountainsoulyoga@gmail. com or 613-862-4614. Free:	Power	of	Presence	Seminar	by	Dr.	Doug	Henderson	Ph.D.
My	real	interest	is	in	energy	and	raising	levels	of	consciousness	and	helping	those	who	have	willingness	and	desire	to	do	the	same. When	you	do,	life	becomes	smoother	and	dis-ease	tends	to	drop	away. Following	my	own	health	issues	15	years	ago	(2004)	with	4	systemic	cancers,	I	refused	medical	treatment	and	used	a	Quantum	Technology	to	return	to	physical,	emotional	and	mental	well	being;	but	more	is	required:	Spiritual	well	being. Although	I	earned	Ph.D.’s	in	Humanities	and	Theology	neither	of	these	are	indicators	of	what	is	required	to	heal. Healing	is	about	learning	how	to	go	within	to	make	correction. It’s	actually	a	by-product	of	this	process	and	of	raising	your	level	of	awareness	&	consciousness. But	how	do	we	do	that? This	is	what	I	want	to	gift	you. No	one	can	fix	us,	the	individual	must	do	it:	This	is	why	we	have	Free	Will	Choice. In	addition,	many	fear	losing	their	individuality	or	fear	the	unknown. At	no	point	does	anyone	lose	their	individuality/personality;	these	are	the	fears	that	must	be	transcended. We	also	need	to	learn	to	disentangle	our-self	from	our	conditioning. Currently,	the	world	is	becoming	more	and	more	insane,	so	if	we	wish	to	cope	in	the	future	personal	change	must	occur. I	have	learned	many	things	along	my	path	that	may	prove	useful	to	help	you	to	shorten	the	learning	curve. I	would	like	to	share	this	with	you,	so	your	path	can	become	smoother. You	have	nothing	to	lose	and	everything	to	gain! Hope	to	see	you	there. Love	and	Light. Doug	. April 18-19-20 Conference and Workshop - Do not miss! From France - Fabrice Splinder is a Lightworker that is connected to Archangel MICHEAL plus several others to bring light to our World. His conference will explain his connection to the Divine and will demonstrate a special unique meditation. Plus he will clean energetically the group at the end of the conference. Fabrice will also explain for those interested how the full day workshop can teach you to work with Angelic forces so you can provide to yourself and others a liberation of the negative energies; you will learn how to clean your home and any other areas you choose from his proven method. Fabrice is travelling the world. This will be his first appearance in Canada. Place; Riverrock Inn, 2808 Chamberland Street, Rockland For Information and reservations (en Francais aussi) contact Serge 1-613-8597091; email serdess@istar.ca Check Facebook https://www.facebook.com/fabrice.splinder Check all the photos!!!! https://www.facebook.com/fabrice.splinder/ph otos?lst=100008509898673%3A591351138% 3A1553596762 Check all his Youtube!!!! https://www.youtube.com/user/ fabricesplinder You will love the great energy Fabrice brings to you! Fabrice se fera un plaisir de vous parler en Français aussi Merci et a bientôt! See you soon in Rockland! for Climate,” bringing out the determination of young people to force the hand of political change. Her model for this was the Parkland School students in Florida, who walked out of school to protest gun violence. Greta holds the firm desire for global student strikes to be non-violent, with no hate and no damage. She insists that everyone become educated about the Paris Accords, respecting science and personally minimising their carbon footprint. She requests children to do their homework about Climate Change, because most adults have yet to do so. “Youth Climate Change US” are mobilized to point the Strike right at resistant politicians, demanding that they decarbonize the US economy, and furthermore make legislative action to combat the effects of climate change. The registered Climate strikes are planned in over 90 countries around the planet. Young people see that their present and future on the planet are at stake and they are pulling in university students and women to strike with them. British PM Theresa May asserted that the school strikes are “wasting lesson time.” Greta’s sharp response was, “Political leaders have wasted 30 years of inaction. And that is slightly worse..” Good bye Theresa May and your ilk! It is apropriate to ignore her, when over 3,000 climate scientists have given their full backing to the strikes. I feel strongly that the response globally to the March 15 strike will be beyond anything we have seen on our planet. Please do your part – Support and Help. Describing the benefits People who work with Gita and her books find new ways to access and release the ever present, sadness, sense of loss and absence, outrage and even guilt and shame from their family legacy. EnergyBEE Schedule 6:00 pm to 10:00 pm 6:00PM: WELCOMING WORDS. Honour Fee: $10 or more; CONTRIBUTE WHAT YOU CAN. Net proceeds go to www.freethefalls.ca for First Nations & Allies initiatives to restore the Ottawa River Watershed 6:30PM: Guest Presenter 8:00 PM: Circle introductions: 1) name, 2) your intention for this evening 8:15 PM: SHANGHAI RESTAURANT Veggie SNACKS! networking 30 minutes 8:45 PM: Start of Energy Balancing Exchanges/ Integration Conversations 10-15 minutes each giving, or receiving, multi-lateral, bi-lateral. Required: Curiosity, active listening, active observing. Holistic modalities welcome. Miracles are invited. 9:45 PM: Closing Circle 10:00 PM: Venue Doors are locked Notes For ‘serious conditions’ consult a licensed medical professional. … please like FB: TWOGBD & follow. Send Message or text to recommend guest presenters you would like to see present. For more information call 613.769.5575 & email ebe4ottawa@gmail.com Sponsors & supporters Longstanding supporters include: Cafexina.ca, Christina Xina Lamothe; Ruby Hair Studio, Michael Rawbe. spriebe@sympatico.ca Have a Balanced 2018 and beyond! Sharing take-a-ways A new construction of trauma and non-pathologizing modes of processing the trauma to understand its wideraging impacts and find new ways towards resilience and agency. creates an environment that can contribute to anxiety and depression. So, the answer to the question is ‘No’! We cannot have a healthy body without a healthy mind and vice- versa. Over the past two decades, it has been determined through extensive clinical studies that inflammation is not just a result of stress and sickness, but the actual CAUSE of serious, life threatening conditions like heart disease, cancer and diabetes. This condition is silent but not invisible. So how can one “see” their current state of health? Thermography can see your body asking for help and it can identify the areas that need attention first. Thermography is the only assessment tool that can visualize inflammation: where it is, where it is coming from, and what it may lead. In a nutshell, this tool creates a high definition digital map of your body that illustrates temperature patterns — patterns that are consistent with inflammation. We recommend thermography as a way of evaluating your overall level of stress and your digestive health. Thermography can identify areas of inflammation or congestion in the digestive system. Thermography can also help you to visualize your level of stress. The thermal patterns that present on the skin may indicate liver stress, congestion in the small or large intestine or lymph related issues. This can help you and your practitioner to plan your treatment protocol accordingly. Thermography is not diagnostic for any specific condition, but it is highly sensitive and can identify very early signs of inflammatory or physiological changes in the body. What can one “do” about stress? For emotional stress, nothing is more important than moderate exercise. Heavy exercise may overtax your body and deplete physical resources. Dietary modifications are also important. Be aware that diet plans and supplements that contain a “cure all, good for all” tag line aren’t all they are cracked up to be. We each need a personalized nutrition and supplementation plan: unfortunately, there is no cookie cutter approach to our health. Regarding food, think light and fresh. Regarding emotions, practice patience, forgiveness, kindness, gratitude and let go of anger and resentment. Do you have the guts to be healthy? Why don’t you find out with thermography! The knowledge you gain offers you the power to take control of your future health and the length and quality of the rest of your life. ancer is a scary word and often associated with death and suﬀering. However, as advances have been made in modern medicine and eastern medicine as well as alternative medicine, we can be more hopeful that one can live a normal life. In this workshop, you will find out how cancer can be conquered and prevented. The three presenters will explain and show you how! Mr. Zhaoqi Guo wastrained as a western doctor in China. He was also trained in Traditional Chinese Medicine and Acupuncture. He has been practicing acupuncture for over 30 years in Ottawa. He was addressed as Dr. Guo respectfully by his clients. By combining his knowledge of the East and West he has created his own unique combination of acupuncture points and occasionally adding herbs in order to help his cancer clients. He was also a researcher in the field of hormones. He has a keen mind in research and a sincere desire to help his clients which enabled him to develop many new ways of resolving his clients’ health issues and Cancer is one of those areas he has much success. He is well known even in the medical community in Ottawa for his work on cancer. He has received many awards from the international community on Acupuncture for his work. In this workshop, he will talk about how Yin Yang balance, hormones and our immune system works and how they aﬀect the growth of cancer. He has many case studies to present with confirmation with western tests. Dr. Amanda Chan is a non-traditional chiropractor who focuses on Neuro-Optimization. She uses gentle, light touch techniques and breathing exercises to correct neuro abnormalities and in turn, optimize your body and your spine. Her patients reported that she is very intuitive and often knows where their concerns are without them having to tell her. Though Not a focus of her treatment, her patients have successfully reported that they feel less stressed and have in cases released negative emotions that aﬀect their health. In this workshop, she will be focusing on emotional issues pertaining to cancer patients and will teach simple exercises to overcome negative emotions. Sifu James Foo is a scientist who is born with the special ability to see energy flow in the body and around the body referred to as aura. He is always experimenting with knowledge he found in the Eastern and Western medicine. His latest discovery is on Natural Killer cells (NK cells in short). NK cells is part of the innate immunity. It plays a role in directly inducing the death of tumor cells. We all have NK cells, however, their numbers are usually low and not enough to deal with major issues such as Cancer. In this workshop, he will explain how cancer is formed. He will then show you how you can increase the NK cells in a simple natural way. You will even have a chance to experience it and learn how to do it! a silent blessing Mother Meera is traveling around the world. Her work is to bring down the Light and the Divine Consciousness into the world’s consciousness in order to accelerate the transformation process of each individual as well as the world. You are invited to experience Mother Meera’s Darshan. Darshans are free of charge and upon reservation. t’s that time again. Time to tune up by tuning into your body, listening to it, feeling it, tracking and integrating its sensations, as well as rethinking and refeeling what the mind tells you so that all of you can become free again. Jaya Hollohan will be sharing some of the principles and tools from energy and trauma integration therapy, particularly the BodyTalk System and Somatic Experiencing, to help us to rewire our nervous systems, as well as other parts and systems, in ways that will transform your experience of your life. Jaya will also share the principles of neuroplasticity and offer practices, similar to the latter two modalities, which encourage us to heal at the deep cellular and nervous system levels. Neuroplasticity makes this possible by having us cultivate new thoughts, emotions, and experiences that when practiced, will integrate as chemical and physical changes within our various brains. Join Jaya at her one-day transformational workshop and learn how to: •	Use the principles and practices of BodyTalk energy therapy and Somatic Experiencing trauma integration therapy, to help you to understand how energy influences your health and how to give yourself a mini healing session. •	Identify and shift the energetic roots of existing mental, emotional patterns to change their effect on your overall health. •	Track and integrate bodily sensations that relate to bound survival energy from past thwarted fight, flight or freeze responses. •	Use practical tools to calm, ground and rewire your nervous system and guide it to self-regulate more effectively. 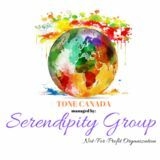 •	Use principles and practices from scientific research on neuroplasticity and quantum physics to begin to change your thoughts, emotions, and related habitual behaviours, that when applied, will enable you to lead a more creative, joyful and peaceful life. Once you learn how to master and command the energy and matter of your body, your whole life will begin to revolutionize itself. Now is the time to thrive. Jaya will be offering this workshop on Sunday, April 28th, 2019 from 10am-6pm in Centretown, Ottawa. Cost is $250 (or early bird $200 until April 7th). Please RSVP to: jaya@energythrive.com to register and/or feel free to visit: www.energythrive.com and click on ‘Events’ for more information or to register. Jaya Hollohan MA is a Certified Advanced Parama BodyTalk Practitioner, Cranial Sacral, Lymphatic Drainage, Mindfulness Life Coach, Reiki Practitioner, Hatha Yoga Teacher and is currently undertaking Peter Levine PhD’s 3 year Somatic Experiencing Professional Training, which assists in trauma resolution. She has been working in the healing field for over 10 years and has a very busy energy therapy practice in Ottawa and Gatineau. Jaya is Author of the book: “Who We Are When We Thrive: Remembering Happiness and Rediscovering Health”. By Dileep Korah ith pleasant weather on the horizon, that shelved new-year’s resolution of getting more exercise just may have a second chance. However, the wellintentioned weekend warrior athlete can often get sidelined with back pain. Are these injuries self-induced or could it be that you are prone to them due to postural imbalances? There are many possible contributing factors to back pain. The usual suspects include excess weight, stress or lack of exercise. But isn’t that why you want to exercise – to lose that excess weight, release stress and get into shape? An evaluation of your entire body by your osteopath can give tremendous insight as to the potential causes of your back pain. Key things to check should include: integrity of the spine and back muscles; the head, knees and feet for their impact on balance; the sacroiliac joint and abdominal organs/muscles due to their proximity to the low back; and the fascia which is the connective tissue that interconnects the entire body. However, sometimes you need to consult with your medical doctor for example if your back pain is accompanied by fever, new bladder problems, or unexplained weight loss. If you are someone who has tried more aggressive therapies, feel worse after such treatments, or have lingering back pain that can’t seem to be solved by other approaches, osteopathic manual therapy may be the solution for you. Techniques are very gentle with the goal of optimizing body mechanics. Its holistic approach addresses the cause of back pain at the level of the muscles/bones, organs, and nerves. Who would have thought that your back pain may be due to compensations caused by that old injury from last year’s exercise resolution? Treat your body and spine with the respect that it deserves and let your osteopath get you back into the game, inspired and ready to meet your fitness goals. may have finally learned that “Figure it out” is not a good slogan for me or most other humans. Stressful. My best attempts prove murky, wobbly, wily, confusing, and complex. Perhaps, “keep faith in This transformational workshop by Dr. Rev Martha Creek is designed precisely for a things unseen” and stay the course time of rapid change and supports participants to: could be a kinder approach. • Develop courageous patterns of relating to old patterns without being hostage to them I was meeting a friend for lunch • Learn to focus on strengths & cultivate options for an empowered future in a new unfamiliar place - one that • Boost confidence in responding to life’s challenges with less anxiety turns out is plain old weird and dif• Learn to lead with calm connectedness toward your own goals • Guide self toward healthy functioning and presence to source ficult to navigate. This is coming • Gain skill/mastery in staying present during difficult times – resourceful and resilient from someone who has driven in unfamiliar countries, places, and “Martha Creek is an enlightened being and passionate speaker who engages and facilitates an honest realization of who we truly are. foreign cities for 40 years. This place Profoundly real and liberating, Martha walks her talk and challenges contains roundabouts that are not each of us to do the same.” Rev. Greg Coles, M.Div. aligned squarely with the incoming streets, heavy congested traffic and Friday, May 24: 6- 9 pm & Saturday, May 25: 9- 6 pm people in a big hurry to get somewhere, of course. Spiritual investment: $97 (early bird) and $117 after May 15 I felt overly determined on this Martha will be the guest speaker at Unity on Sunday, May 26 at 10:30 am particular day - confident and faithfollowed by a mini- workshop from 1- 3 pm on a donation basis ful that I was equipped for this adLocation: The Good Companions Centre venture and affirming it would be (670 Albert St.- plenty of free parking and bus stop at the door) with ease and grace. All the best and powerful spiritual mix, right? For more information: www.marthacreek.com or www.unityottawa.org I sought the assistance of my most Email: officeunityottawa@yahoo.ca ~Unity Celebration of Spirit, Sundays at 10:30 a.m.~ trusted and dependable friend “Siri” for navigation assistance, realizing she is smarter and broader minded than me. I proceeded confidently along the route, naviAs Martin Luther King said, “Faith is taking the first gated two of the crazy intersections, and Siri informed step even when you don’t see the whole staircase”. I me, “You have arrived”. Although, I didn’t see a restau- won’t begin to believe that I know what Faith is or isn’t. rant in sight, I had arrived. I decided to park and figure What I will continue to do is watch for winks, signs and it out on foot. I surely must be close. accept the complexity of the directions. I parked the car in the first available space that inWhat will you do in the name of “faith”? cluded “two hour” parking. How generous. I guess that keeps people like me from living in that space all Join acclaimed spiritual teacher Martha Creek the winter. I stepped out of the car, took a big deep breath, weekend of May 24-26 for the Journey Within workbasked in my glory of accomplishment, secretly taking shop, as well as her message at Unity Spiritual Centre the credit of course, and began to look around for the Ottawa Sunday celebration, 10:30 a.m. The Good restaurant. My first discovery was that I was at the City Companions Centre. Hall. As I began my restaurant search, the arrows in the email: officeunityottawa@yahoo.ca photo were there to direct me. or website: unityottawa.org Two ways! Which way? Who decides? I got a huge belly laugh and another “awakening” reset from the God wink. What if there is more than one way to whatever we are headed for? What would it be like to accept this reality and proceed with understanding and less stress? Nature. In this seminar we will work to understand and open each centre, through inquiry, sensing, and meditation practices. The Belly centre is where the soul meets the ground of the earth. It helps to ground our realization and deepen our connection to our body, and allows us to function more optimally in the world, bringing a lived Presence and practicality to our lives. The Heart centre brings attunement, sensitivity, empathy, and the capacity to feel one’s emotions and qualities of essence. When the Heart centre is open, we taste life to its fullest. The Diamond Approach ~ www.diamondapproach.org A path that engages and leads to the discovery, development & preservation of the Human Essence. DIAMOND APPROACH, RIDHWAN DIAMOND APPROACH and RIDHWAN are registered trademarks of the Ridhwan Foundation. The Ridhwan “HU” symbol is a trademark of the Ridhwan Foundation. This Apprenticeship has been carefully crafted to offer people from all walks of life a heartfelt initiation into the healing power and earth honoring ceremonial artistry of the Pachakuti Mesa Tradition (PMT), as originated by world-renowned kamasqa curandero don Oscar Miro-Quesada. Inspired by the living soul which sustains the various ancient traditions of Peruvian Curanderismo, the Pachakuti Mesa Tradition maintains contemporary relevance in its dedication to compassionate personal and planetary transformation. Sanctioned by the PMT Lineage and by don Oscar, curandera and stellar teacher YOLA DUNNE is offering the PMT Apprenticeship in Chelsea, Québec with two alternative opportunities to attend Part One, The Call to Heal (see below). As a PMT sanctioned teacher, Yola draws on over 30 years of practice and experience in the healing arts. Her path began in 1993 in the Dür Bön Tradition, a pre-Buddhist shamanic tradition of Tibet where she assisted in many ceremonies. These profound experiences paved the way for her service as auxilia (ceremonial assistant) to don Oscar, and her deep apprenticeship in the living lineage of the PMT. Yola serves her community with a thriving private healing practice, ceremonial offerings, and workshops. Contact Yola Dunne at yola@yoladunne.com or call (613) 291-0315 or visit www.yoladunne.com/apprenticeship. Cost: $450 CDN (per weekend). Pay by e-transfer, cheque, or PayPal. Fees include tax. For more information about the PMT visit our website. The latest issue of one of Canada's longest running independent health and wellness magazine.